Velvet Peanut Butter. For generations, it was a household staple, an iconic brand among Detroit-made favorites, Faygo, Vernors, Sanders, Better Made, Vlasic. The story behind that familiar yellow label is a classic, still as “fresh, pure and delicious” as ever. Digging into a jar of Velvet Peanut Butter can be a delight unto itself. But digging a little deeper into the history of the brand and the legacy of its maker, Paul Zuckerman, might lead one to reflection and to wonder. 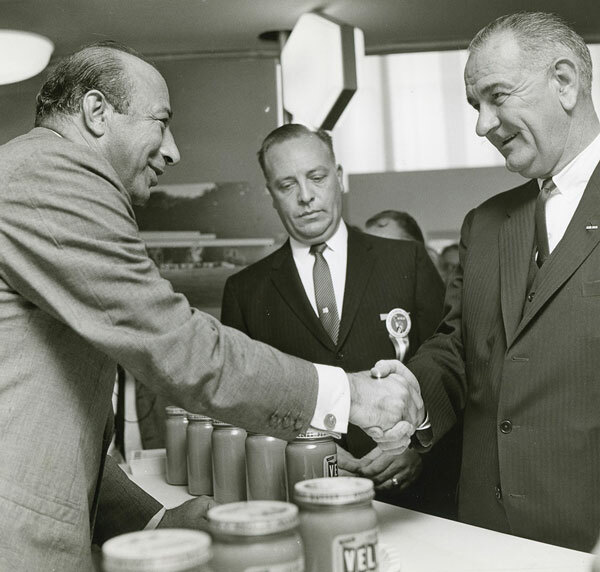 By what turns of fortune – or leaps of faith – did the son of Jewish immigrants become the Peanut Butter King of Detroit? Paul Zuckerman shaking the hand of Vice President Lyndon B. Johnson in Stockholm Sweden, September 1963. The U.S. Dept. of Commerce invited Velvet Peanut Butter to participate in the U.S. Exhibition at St. Erik’s Fair. 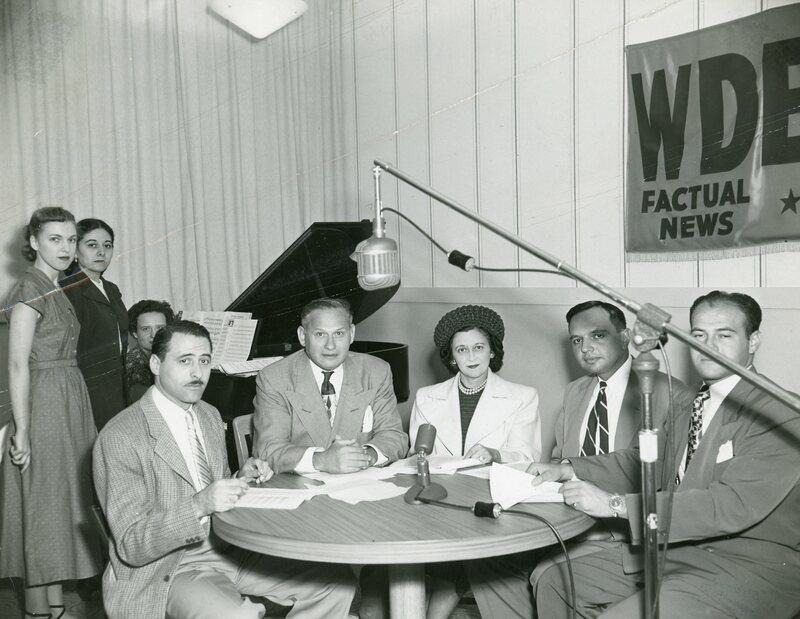 Paging through old scrapbooks, newspaper clippings and hundreds of photos preserved in the Archives at Federation – we get glimpses of the life and times of Paul Zuckerman, a man of boundless energy whose influence clearly extended beyond America’s taste for peanut butter. From humble beginnings, Zuckerman rose to international prominence as a major fundraiser for Detroit and Israel, a man of stature among presidents, statesmen and Israeli war heroes, a pioneer for peace and a passionate advocate for Jewish community — “One People” around the world. An Ashkenazi Jew born in Istanbul in 1912, the son of Joseph Zuckerman and Rose Popper, Paul Zuckerman grew up in Detroit in the midst of the Great Depression. 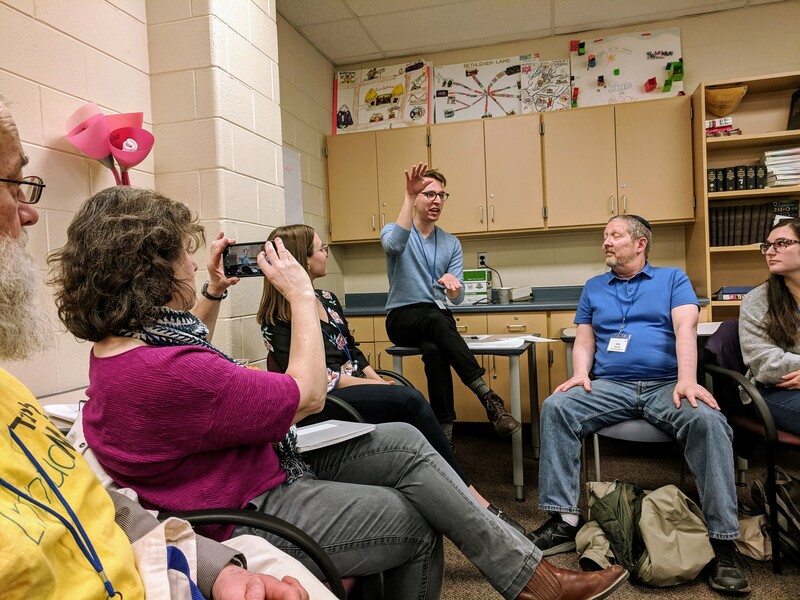 A strapping young man — street-smart and a capable student with a voracious appetite for reading Jewish history — Zuckerman entered the University of Detroit at the age of 15. To make his way through college and help his family, Paul sold newspapers, worked in a haberdashery and played bridge in a professional card club with men three times his age. At one point, financial difficulties caused him to leave school before he was able to graduate. With all doors temporarily closed to the academic world, Zuckerman jumped into the world of commerce where he claimed to have learned “the real humanities,” working as a truck driver, then as a manager and purchaser in a food warehouse. An entrepreneur at heart, Zuckerman took notice of the peanut butter purchased at the time — a brand he deemed inferior in quality and taste. Confident that he could produce a better peanut butter, he invested $1,700 in second-hand equipment and started his own company in a two-car garage on 12th Street in Detroit. The year was 1937. Zuckerman was 25, a young man of promise, newly married to Helen Fleisher. The fledgling business struggled . . . and failed after two years. But, as self-made men always do, Zuckerman persevered, returned to work at the food warehouse, attended night school and studied agriculture and manufacturing. One year later, on borrowed capital, he returned to the business of developing the brand that would become Velvet . . . a richer, creamier, smoother peanut butter. 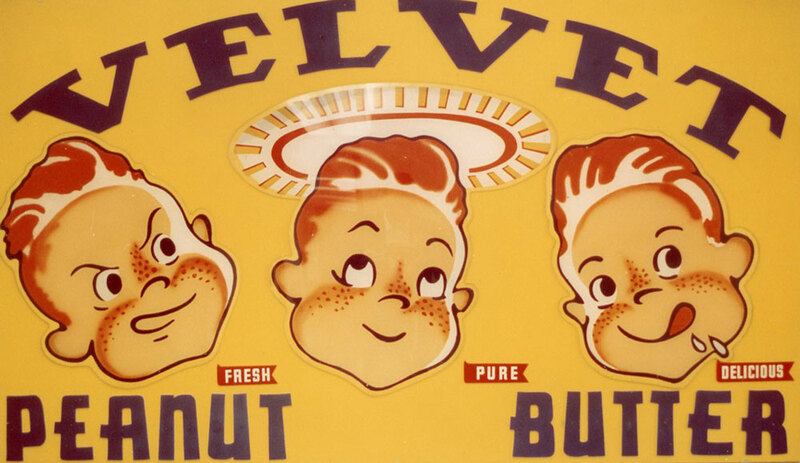 In 1944, Velvet Nut Products Company introduced the concept of a new “homogenized” peanut butter in an advertising campaign that trademarked the words “Fresh. Pure. Delicious.” The idea spread. The demand for Velvet Homogenized Peanut Butter became greater than the ability to produce it, and the company quickly outgrew several factories. The product – now a Detroit icon — was easily recognizable on grocery shelves, boasting the images of three freckled-faces of a boy on the label, “Fresh Pure and Delicious,” inspired by Zuckerman’s own son, Norbert. Velvet label design, circa 40s, from the Leonard N. Simons Jewish Community Archives. With business booming, Zuckerman acquired the Krun-Chee Potato Chips Company in 1952 and, after five years, merged with Sunshine Biscuit Company. Just a few years later, he bought Velvet back and then merged with O’Donnell Importing Company to form the Velvet-O’Donnell Corporation. In 1984, Zuckerman made the decision to sell Velvet-O’Donnell. The famed peanut butter production ceased, and Zuckerman passed away in 1986. But Jewish Detroit will always have Paul Zuckerman to thank for his indomitable spirit and generosity. Always a creative businessman, Zuckerman was a devoted philanthropist who used the companies that made his fortune as vehicles to help others. At the end of World War II, when there was a fear that the defeat of Germany might lessen bond sales, Velvet Peanut Butter advertised the sale of 7th War Loan Bonds. And when aid was needed in Europe, Zuckerman used the plant for loading cars of food to be shipped overseas. In 1948, Velvet Peanut Butter was awarded an order by the United States government for 1.5 million pounds of peanut butter for distribution to schools throughout the country. Additionally, Zuckerman served with distinction as head of the U.S. Food for Peace Committee, a position to which President Johnson appointed him. 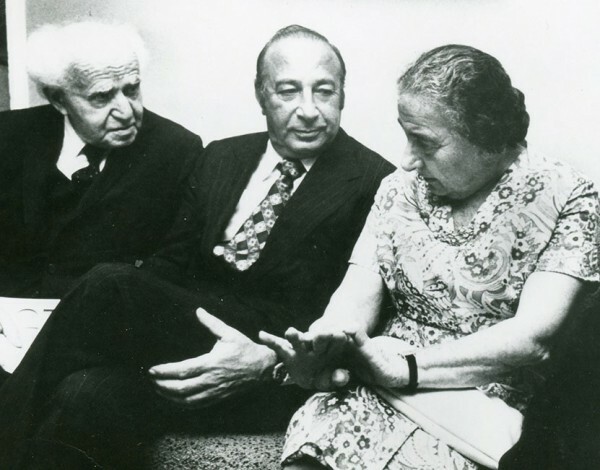 Golda Meir and Paul Zuckerman. Prime Ministers Mission at Knessett, Jerusalem, August 1973. In his term as Chair of the UJA, he logged hundreds of thousands of miles on a privately chartered airplane to Jewish communities across the country to lead the 1973 Yom Kippur Campaign, the greatest fundraising effort in the history of the UJA. Soviet Jewry – an issue he once called a “humanitarian must” — was also a major concern for Zuckerman. As an advocate for Soviet Jews, he not only called for their release, he strove to guarantee that Russian Jews were integrated in Israeli society. In recognition of his extraordinary leadership, Paul Zuckerman was named the recipient of the Fred M. Butzel Award, Federation’s highest honor, in 1969. Additionally, the Detroit community planted 10,000 trees as the “Zuckerman Forest,” in the hills overlooking Jerusalem. Zuckerman, in turn, built Detroit Park in Jerusalem. 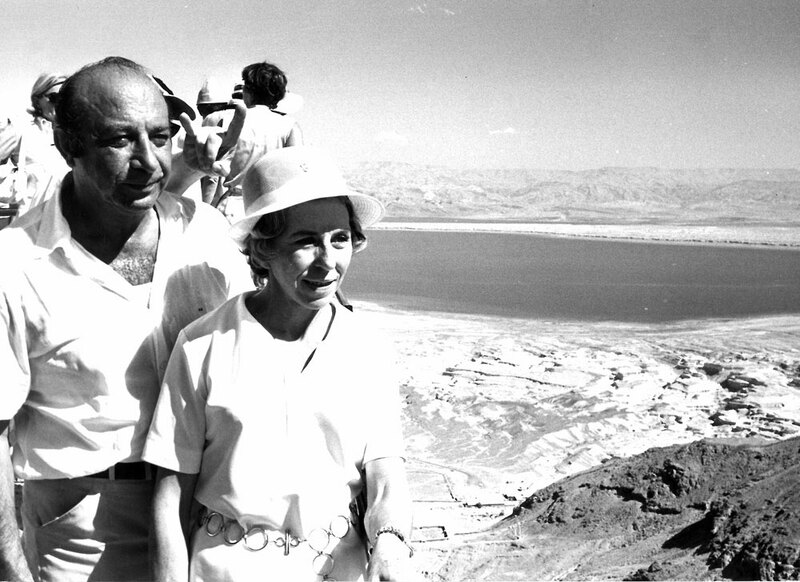 Paul and Helen Zuckerman in Israel on a United Jewish Appeal Mission in 1969. Along with Helen, his beloved wife of 49 years, Zuckerman was active with the Jewish National Fund, the American Jewish Joint Distribution Committee, Bar Ilan University, Ben Gurion University, Boys Town Jerusalem and Akim, an organization that helped the developmentally disabled on the home front. The Zuckermans also were longtime supporters of Sinai Hospital, JVS, American ORT, Federation, the Michigan Cancer Foundation and the National Conference of Christians and Jews. After a hiatus of 25 years, in 2009, Velvet Peanut Butter made a remarkable comeback when former Detroiter Eric Bruce put it back in the market using the same famous recipe. To the delight of many, it can be found on the shelves of several area grocery stores including Meijer, Hiller’s, Plum Market and Westborn Market.